"Dr. Diana Zabarko is the best and great doctor." "I highly recommend this place if you are looking for a good optometrist." "Dr. Zabarko took her time and patiently answered all my questions." "Dr. Zabarko is a very professional, kind, and caring doctor." "My experience was excellent, Diana has such a high level of expertise." At Avant Garde Vision Center, Dr. Diana Zabarko offers comprehensive eye care for the entire family. She takes a detail-oriented approach to your eye health and is committed to providing excellent eye care to all of her patients, both adults and children. Dr. Zabarko’s Facebook page contains many comments on her excellent care. Dr. Zabarko conducts thorough eye exams to ensure that her customers’ glasses or contacts are exactly the right prescriptions. She checks for eye diseases using the latest equipment and technology. Dr. Zabarko specializes in providing prescriptions for hard-to-fit contact lenses such as multifocal lenses, which correct multiple vision difficulties in one lens, as well as special scleral lenses for irregular astigmatism. She regularly attends educational conferences to maintain the highest standards in diagnosis and treatment of eye diseases. After 10 years of serving patients, Dr. Zabarko established her own practice in 2014. She graduated from SUNY Binghamton with a bachelor's in science and from SUNY College of Optometry in 2002 with a Doctor of Optometry degree. Her externship at the VA Medical Centers of Syracuse and St. Albans focused on glaucoma diagnosis and management. Dr. Zabarko is fluent in Russian. In her spare time, she enjoys travel and photography. We offer same day and Saturday appointments! Please Check Out Our Partner Office Specializing in Dentistry! 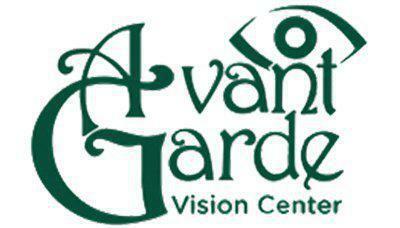 We accept the following insurances at Avant Garde Vision Center. If you do not see your insurance provider on this list, please contact our office and we can verify your benefits. "Wonderful staff and service...Dr.Zabarko is someone that you can trust to care of you...very professional!" "I had a most wonderful experience at Dr. Zabarko office. I came for a medical exam- the doctor was very knowledgeable and addressed all of my concerns." "Dr. Zabarko paid attention to every single one of my concerns. If you need an optometrist she's the one to go to." "Dr. Diana Zabarko was very patient with our boy, and explained everything very well. We were accepted exactly at the time of the appointment and did not have to wait." "Diana Zabarko the best optometrist. She did such a great job for me. She's patient, thorough, and always happy to answer questions."